Healthy habits are best formed at an early age, so any one of these cool water bottles will help teach your kids the habit of craving water, instead of drinking sugary drinks that are full of empty calories. With obesity on the rise in America, it’s important to teach our kids good habits at an early age, so learning to stay well hydrated with water is a healthy place to get them started. Some studies have indicated that Americans ingest far too many empty calories in the form of sugary beverages and this is contributing greatly to our obesity problem. So in order to help win the battle against obesity, make it easy for your kids to always have water readily available to them with any one of these well designed water bottles. This first one is called the Vapur Anti Bottle and it’s probably one of the most portable water bottles I’ve ever come across. It’s designed to be completely flexible, so it can be flattened, folded or rolled, so it can easily fit inside a pocket, purse or backpack. 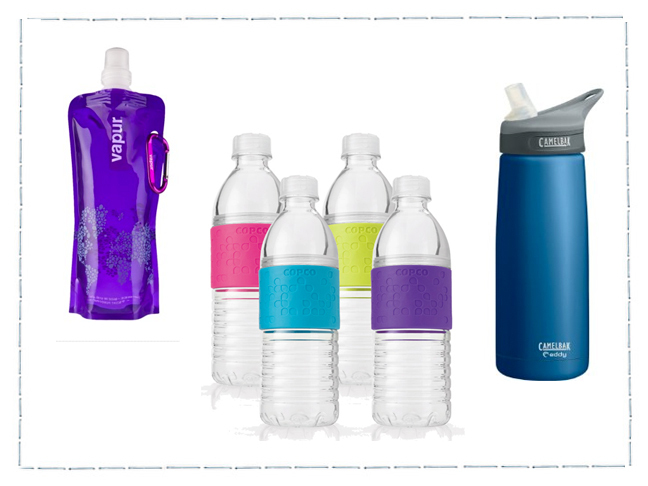 Plus it’s freezable, completely BPA free and super well-priced too, so there’s never any excuse to be without water. 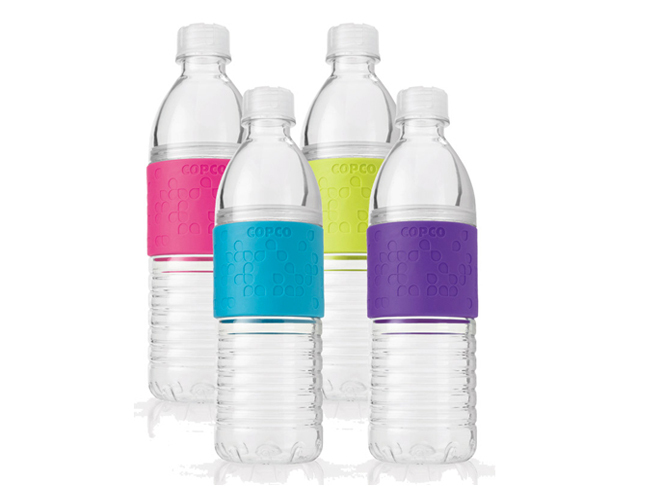 These Hydra Bottles by Copco might fool you, because they look similar to ordinary disposible water bottles, but they’re much better because they’re reusable and made of a super durable material called Tritan. And as an added bonus, they twist apart in the middle, so you can add items like lemons, limes or ice if you want to flavor their water without adding sugar. Your kids will love that they’re available in 4 bright colors and you’ll love that they’re 100% BPA free. 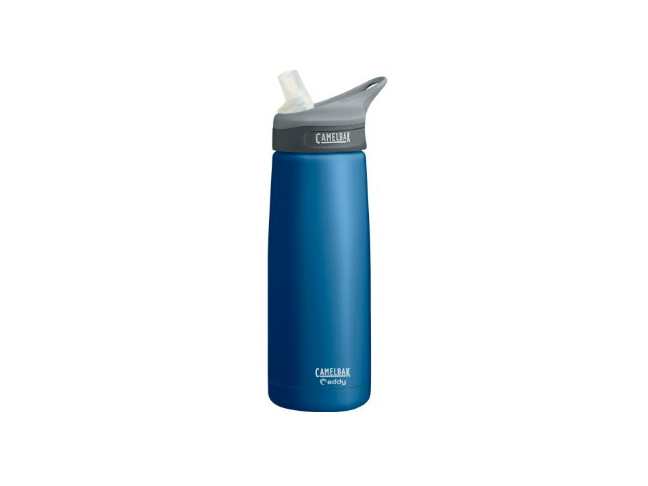 Our family has used these durable Stainless Steel Insulated Sports Bottles by Camelbak for a number of years. 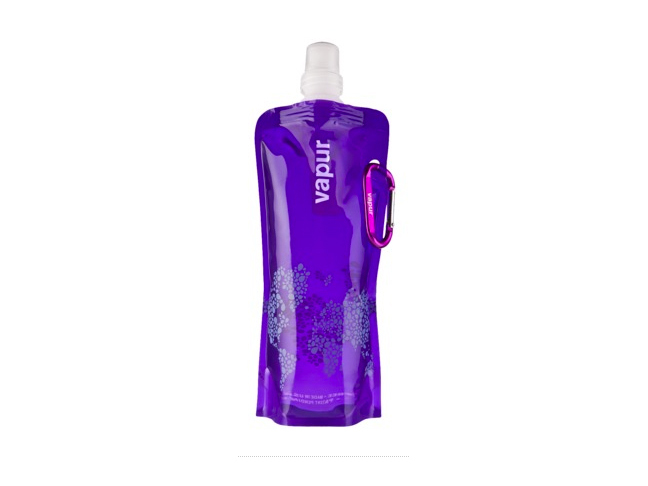 We love that they’re double wall insulated, so they keep your water super cold for hours, plus they’re designed with a Flip, Bite and Sip drinking spout, so you don’t even have to tip the bottle to drink from it. And with the easy to carry loop at the top, you can hook it to a carabiner or just slip it through one of your fingers to make it easy to take it along with you. Sarah Michelle Gellar And Freddie Prinze Jr. Welcome A Son‘Pitch Perfect’ Premiere – Red Carpet Photos: Anna Kendrick, Alexis Knapp and More!